In June Duranmatic has started a collaboration with Advantech. Advantech specializes in providing reliable, innovative products, services and solutions regarding systems integration, hardware and software. With this collaboration Duranmatic brings a various LCD touch panelon the market, ideal for various industries. "We look forward to working with Duranmatic" said Ard Schalkwijk, Channel Manager Nordics & Benelux at Advantech. "Duranmatic has built a reputation as a reliable partner in the area of solutions for the retailer. We also have full confidence in the system integration of Advantech UTC-series, suitable for point-of-sale solutions. " The UTC Series includes six all-in-one computers with multi-touch screens. 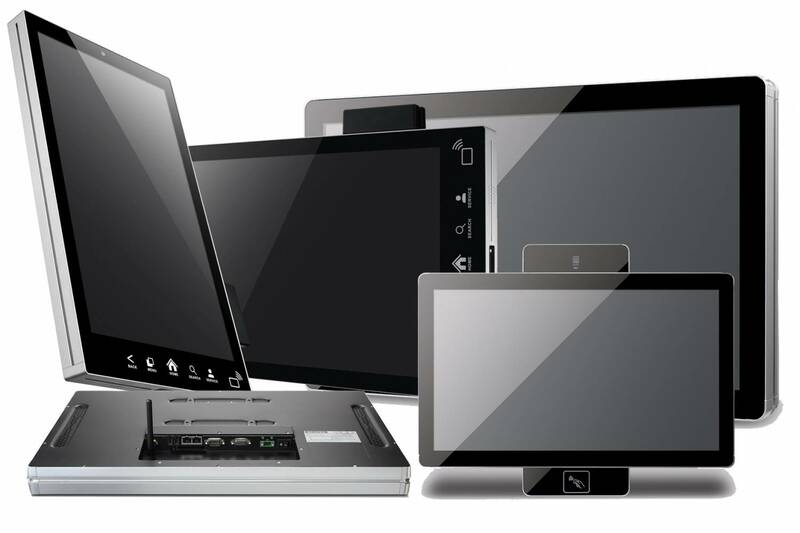 Various devices are very easy to integrate on the touch PCs via a click-on method. The smallest PC in this series is available in 15.6-inch, the largest in 32 inch. Due to its fanless design, aluminum enclosure, low power consumption and IP protection, the UTC Series is ideally suited for applications in retail, hospitality and as a kiosk solution. With its sleek look and opportunity to hang the UCT Series both landscape and portrait, it gives a natural touch screen viewing experience. Click here for more information about the UTC Series. Are you already familiar with our kiosk components?